Gives good financial returns to farmers and eco-entrepreneurs. Helps community leaders meet various policies and legislative targets. Offers an environmentally sensitive waste disposal option. Reduces greenhouse gas emissions, as well as providing an organic fertilizer. Although the process of AD itself is relatively simple there are several system options available to meet the demands of different feedstocks. This book describes, in simple, easy to read language the five common systems of AD; how they work, the impact of scale, the basic requirements, the costs and financial implications, and how to get involved in this rapidly growing green industry. Tim Pullen is a consultant at WeatherWorks Ltd, a company he established himself in 2004. WeatherWorks provides advice and guidance on sustainable building and renewable energy solutions to self-builders, developers and housing associations. In 1975, Tim built his own AD plant at his then home in Kent, using slurry from a neighbouring pig farm, igniting a passion that continues to this day. 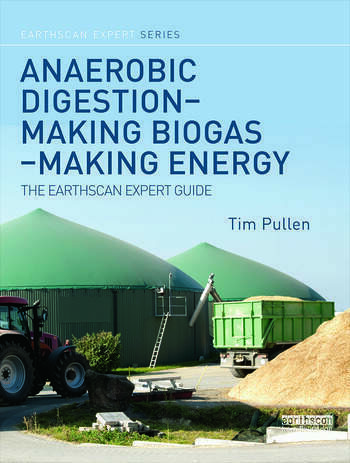 Tim is also an eco-expert for Homebuilding & Renovating magazine and has published books on sustainable building.